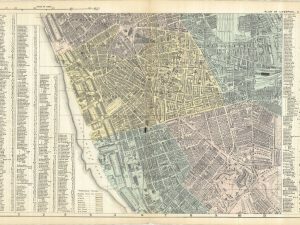 If you’re familiar with the Plan of Liverpool (both North and South Sheets) then you might recognise the features on the Weekly Dispatch Atlas. They use the same base map. The two smaller maps are coloured to show their wards, but the Atlas has no colouring. It’s probably closer to the original than the other two. 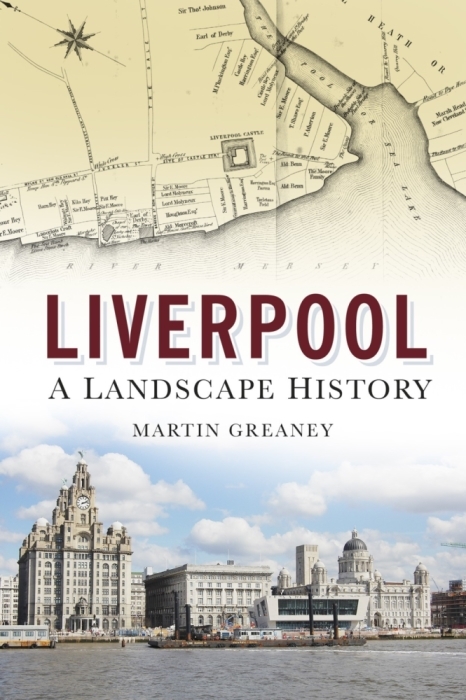 Another great benefit is that it covers the whole of Liverpool in 1860, rather than being divided. 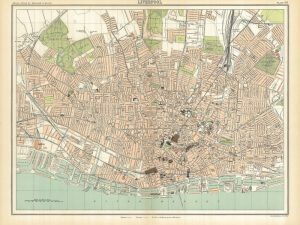 You can see street level detail on this old map. A lot of the streets have their names on them, so tracking down a particular street is easy. The mass of buildings shows the town at a time when it was growing to its peak in population terms. The centre of Liverpool must have been a heaving mass of people at this time, and more were arriving every day. Despite this, a rural landscape was not far away. The Atlas shows fields just outside the centre of Kirkdale, and throughout Anfield, West Derby and Toxteth. This is a fast-changing landscape that would look unrecognisable in just a few years! 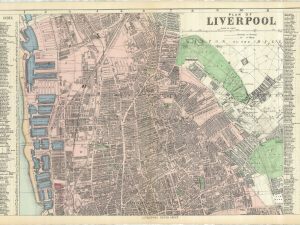 Like the two Plans of Liverpool, the Weekly Dispatch Atlas is perfect for family history. 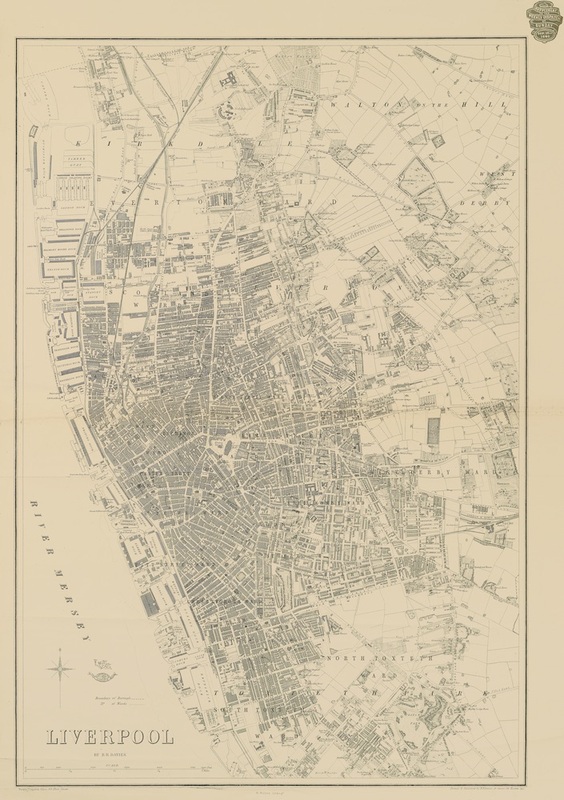 In fact, if your Liverpool ancestors were spread across town, this all-in-one map is invaluable. 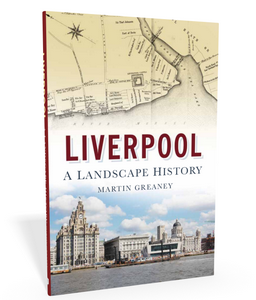 It covers the whole lot from the terraces of Toxteth to the packed back streets of Vauxhall and Kirkdale. We’ve also got the docks on the left of the map. 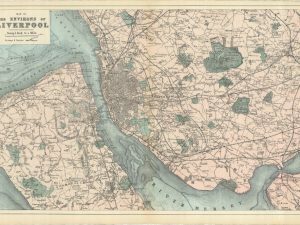 The smart presentation of this Atlas shows off the Albert Dock and its near neighbours George, Salthouse and Kings to beautiful effect. 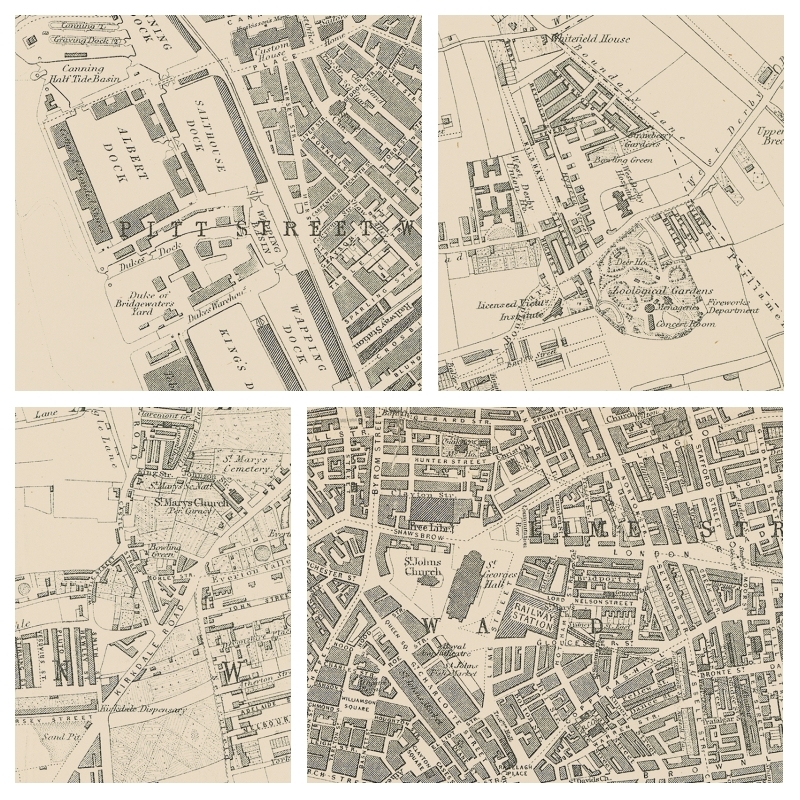 Finally, you can also see some of the less well known features of historic Liverpool: Kirkdale Industrial School, Walton Nursery and the Zoological Gardens off West Derby Road. These are all things that have disappeared from the landscape. The print comes at a slightly larger size than the original. These scans are so good that no detail is lost in the enlargement!